Porterhouse Medical celebrates the great news of a double promotion in their creative team, as Mat and Dan have been promoted to middleweight designers with immediate effect. Mat has now been with us for a year and has had a huge impact on the digital offerings of Porterhouse, including websites, interactive videos, e-shot design, video editing and animations. He has also been involved in a lot of back-end work, and has recently turned his talents to 3D modelling and augmented reality. Over the past year, Dan has also become an invaluable member of our team, making sure our printed materials are delivered on time and to a very high standard. The pride and passion he takes in his work, as well as his attention to detail, have exceeded expectations, and he is a highly regarded member of the Porterhouse family. 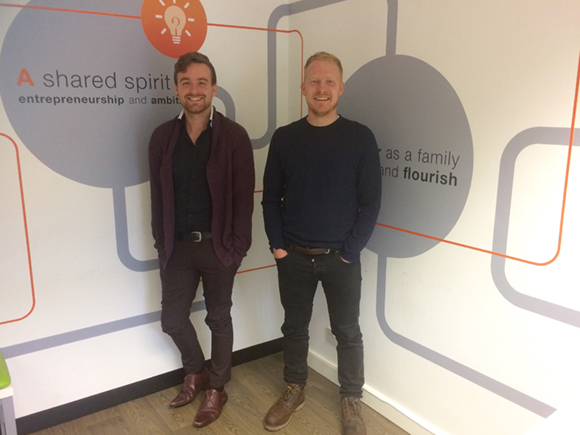 Big congratulations to both Mat and Dan on these well-deserved promotions! If you would like to know more about our creative and scientific services, please contact mark@porterhouse.biz or visit www.porterhouse.biz/index.php/services. Rewarding excellence within Porterhouse Medical’s scientific services team.